Police officers in California are shot and killed a 20-year-old rapper while he reportedly slept in his car outside a Taco Bell restaurant. 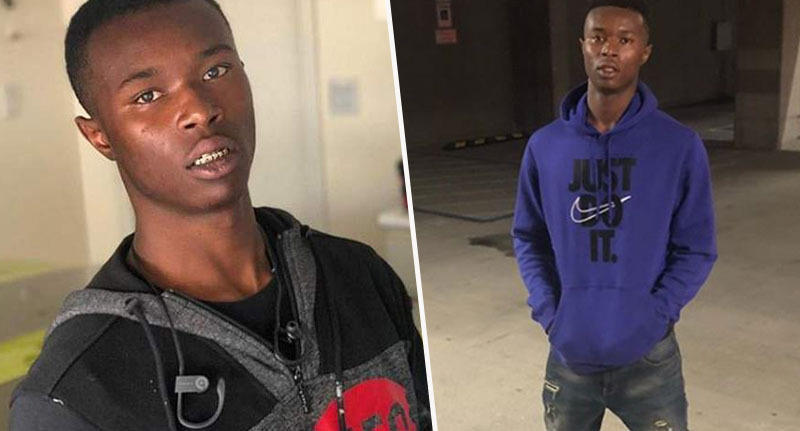 Six officers are said to have fired ‘multiple rounds’ at the 20-year-old, who’s been identified as Willie McCoy, also known as Willie Bo. The officers apparently shot out of ‘fear for their own safety’ when they saw McCoy had a handgun. McCoy’s family, however, said this week the officers racially profiled the young man, and had no reason to use deadly force against someone who was asleep and posing no threat. There was no attempt to try to work out a peaceful solution. The police’s job is to arrest people who are breaking the law – not take the law into your own hands. You’re not judge, jury and executioner… We’re never going to get over this. Vallejo police were reportedly responding to a call from a Taco Bell employee, who’d seen a man ‘slumped over’ behind the wheel of his car in the restaurant’s drive through. Police said the man was unresponsive when they arrived, though the car was on and the doors were locked. They also said he had a handgun in his lap. In a statement, police said after they called for backup, McCoy ‘suddenly moved’ and ‘quickly reached for the handgun on his lap’, despite being told to keep his hands visible, San Francisco Chronicle reports. Police said all six officers fired shots at the man while he was in the car, though did not say how many hit McCoy. The officers then removed him from the vehicle and ‘rendered medical assistance’. However, McCoy died at the scene. No one trusts the police in Vallejo. We are being targeted… Police have a campaign of executing young black men who fit a certain profile. Willie dressed the part. He represents hip-hop music. They are profiled. McCoy’s older brother Marc, said he suspects the police startled Willie awake, suggesting they should have ordered him out of the car with a megaphone instead of approaching the car with their guns. Police are trained to shoot first and hurt you first. They do not respect black people. Even when they have a person subdued and their life is not in danger, they continue to be blatantly physically disrespectful. That is just accepted in America. We cannot fathom why they would have to shoot him. This was senseless… shooting a man sleeping in his car. We want to make sure this never happens again to another person. Our thoughts are with Willie’s family and friends at this difficult time.